Earlier this year, The Strategy Bridge asked university and professional military education students to participate in our first annual writing contest by sending us their thoughts on strategy. Now, we are pleased to present the second place essay, from Lauren Dickey of King’s College London. These days, in the study of Chinese strategy, a fixation upon Sun Tzu’s Art of War, the chess-like game of “weiqi” (known colloquially as Go) or the concepts of shi (strategic advantage) and shashoujian (assassin’s mace) appear increasingly en vogue. From the pages of The Strategy Bridge to the corridors of U.S. military academies, many are turning to ancient Chinese edicts seeking insight into the realm of strategy and statecraft. The study and adaptation of Chinese strategic culture offer an antipode to Western thought, defining strategy in contextual terms of historical experience, strategic geography, and cultural traditions in a manner that appears at loggerheads with the operation of strategy in the Western sense of the term. To believe, however, that there is a uniqueness to how Chinese strategy knits together ways and means in the pursuit of political ends risks over-complicating the study of Chinese strategic behavior. Indeed, to endeavor to interpret not only how Chinese traditions—such as Sun Tzu’s fortune cookie stratagems—guide decision-making but to further ascertain how individuals at the apex of the Chinese central government are applying such guidance is a formidable, subjective task for which even the most adept Sinologist or strategist is likely under-qualified. Rather than assuming culture alone drives strategic behavior, such studies should be conducted alongside rigorous examinations of the other elements of statecraft. Rather than seeking to understand or apply historical or cultural frames specific to the Chinese experience, strategy in the case of China should not be mistaken for being more unique than it is. This article will argue that Chinese strategic behavior should be treated no differently than its Western counterpart. Rather than seeking to understand or apply historical or cultural frames specific to the Chinese experience, strategy in the case of China should not be mistaken for being more unique than it is. It will advance this argument in three sections, beginning first by describing common motifs of Chinese strategic culture, counterpart concepts in Western strategic discourse, and the study of strategy in China today. To highlight the mythical divide between East and Western strategic cultures, this article will then examine Chinese President Xi Jinping’s operationalization of strategy internally, in response to instability in Xinjiang, and externally, in pursuit of reunification with Taiwan and control of China’s near-periphery. The article will close with a brief assessment of implications for the study and application of strategy in both the academic and policymaking communities. The existing discourse on Chinese strategy is rooted in more than 5,000 years of history and the battles of the Three Kingdoms period (220-280 AD), the Opium Wars (1839-42, 1856-60), the Sino-Japanese wars (1894-95, 1937-45), and the Chinese Civil War (1927-50). This historical record has led some to conclude that Chinese leaders have long embraced a pattern of realpolitik in using military force (or, coercive threats of kinetic force) to solve political problems. Others see an opposite trend emerging in which China may wield military might, but ultimately aspires to settle disputes and attain political objectives through peaceful means. Both schools of thought build upon the examination of classic Chinese military texts, strategic concepts, and actual Chinese warfighting behaviors. For the study of Chinese strategic culture, Sun Tzu should thus be treated as the norm rather than a culturally-unique exception. Foremost among such analyses is a dangerous over-reliance upon Sun Tzu’s Art of War. As Ralph Sawyer notes, Sun Tzu’s text is by far the most accessible of a tome of Chinese military classics. The appeal in Sun Tzu lies in its readability, for it is easier to digest soundbite-sized edicts of “know thyself, know thy enemy” or “win without fighting” than the volumes of guidance underpinning contemporary U.S. military doctrine. Ultimately, however, Sun Tzu offers little counsel that a savvy strategist is not already attuned to. Much like Carl von Clausewitz, who sought to illuminate the “trinity” of strategy by connecting the relationship between the people, the military, and the government, Sun Tzu looked at the interdependencies between these actors while accounting for the role of nature, terrain, and laws in shaping strategy. Sun Tzu’s stratagems emphasize the role of intelligence, advocate tactics of deception, and highlight the imperatives of seeking non-military ways to victory. Despite frequent portrayal as an exceptionally Chinese form of strategy, one is hard pressed to think of a military leader or strategist who did not face similar decisions in connecting available resources with political objectives. For the study of Chinese strategic culture, Sun Tzu should thus be treated as the norm rather than a culturally-unique exception. Its core concepts and study of waging war, executing maneuvers, and adapting to battlefield conditions does not differ dramatically from Western studies of strategy in such a way which merits an over-reliance upon the text to justify or understand contemporary Chinese strategic behavior. Other analyses link Chinese strategy to the strategic concepts of shi (strategic advantage), shashoujian (assassin’s mace), or the game of weiqi (Go). The idea of shi—which has long eluded a common definition—can best be understood in translation as a “strategic configuration of power” seeking to create an advantage over an opponent. As the strategic cultural argument goes, while Western strategists tend to differentiate between intellectual and material power in strategy, the Chinese concept of shi instead ties the requirement of choosing an advantageous situation to the application of physical power in strategy. Removed from its cultural context, however, the necessity of organizing circumstances and employing military might to derive a political or national objective is something all leaders, in both peacetime and wartime, must handle. The assassin’s mace (shashoujian) is similarly referenced as the Chinese defense establishment’s pursuit of any capability which would offer near-instantaneous use against an adversary with little or no warning. Seen as a trump card (wangpai) for resolutely defeating a technologically superior adversary in modern warfare, the power of an assassin’s mace capability lies in its simultaneous ability to deter an aggressor or pre-empt an attack. Indeed, with the People's Liberation Army’s (PLA) rapid modernization, China today is increasingly capable of developing advanced lethal platforms specifically targeting perceived vulnerabilities in existing U.S. capabilities. Nowhere is this better seen than in the development of the DF-21D “carrier-killer” missile. As eager as Western strategists may be to develop assessments of Chinese military developments, ephemeral use of the shashoujian concept suggests there is little value to be added from the application of this terminology. A credible threat is no less potent to a potential adversary—and just as advantageous for justifying decisions on procurement or force posture—regardless of the moniker or cultural context in which it is embedded. Finally, as masters at the game of Go (weiqi), Chinese strategists are purportedly engaged in a protracted war, maximizing their own advantages while considering the long-term outcomes of strategic decisions. This chess-like game traces back to the literati, generals, and statesman from the Han Dynasty (206 BC to 220 AD); its objective is, simply, to control territory on the game board through the strategic placement of black or white stones. The successful Go player will engage in moves, posturing, and tests of the opponent’s resolve. As the game continues and the board becomes more layered with pieces, players must simultaneously defend against the adversary on multiple fronts. In other words, the game of Go transforms into a “competition between two nations over multiple interest areas.” To assume that Chinese defense planners were raised playing this strategic board game, and that such formative experiences continue to shape their thinking today, is a precarious assumption at best. 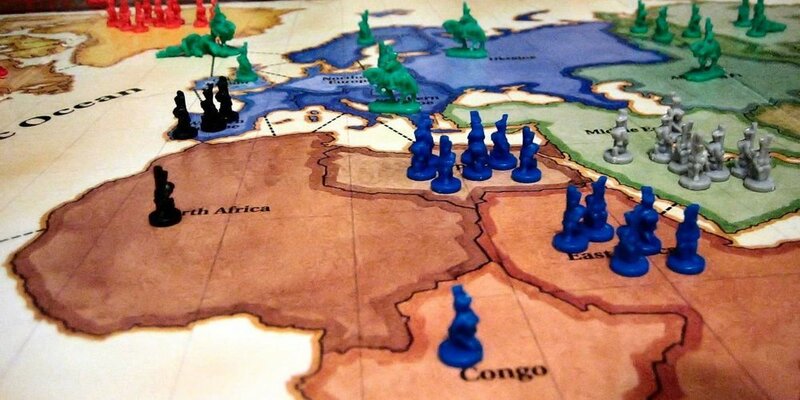 Even if true, does an avid Go player—or in a Western context, a diehard Risk or Settlers of Catan gamer—have the operational knowledge or qualifications to translate strategy at the conceptual level of board games into national or military strategy? The impact of such strategic games upon the individual strategist is undoubtedly highly subjective. Thus, if anything is to be garnered from the Chinese tradition of Go and similar games in the West, it should be that the formulation and implementation of strategy and gains of each player are dependent upon the choices of the opponent. Whether one is playing Go, Risk, or Catan, strategic success is created through tactics of deception, coercion, and compellence—concepts which transcend cultural traditions. Each of these facets of the Chinese strategic tradition should not be discounted as an influential element of Chinese history. But rather than attempting to predict how these cultural factors are adapted by current Chinese policy makers—a task which correlates to one’s ability to understand how Chinese leaders think—of greater advantage to the strategic community would be to think about Chinese strategic behavior in the way the Chinese themselves do. As will be seen below, such a framework is far more convergent with Western strategic thought than existing studies of strategic culture purport. As Alastair Iain Johnston famously argued, the study of strategic culture offers a meaningful alternative to the ahistorical, non-cultural studies of strategy. Strategic culture enables an investigation into the hidden assumptions of history and tradition which, as Johnston’s protégés would argue, impact strategic decision-making. The problem quickly becomes, however, that Westerners attempt to think about China predominantly from a Western context: Sun Tzu’s writings and the aforementioned strategic concepts are repackaged to suit Western scenarios or doctrine. They have become a convenient technique for many seeking an explanation or rationalization of Chinese behavior—assessments of Chinese strategic exceptionalism with Western characteristics are increasingly commonplace. To truly find value in studying Chinese strategic behavior, it is essential for both students and practitioners of strategy to avoid the assumptions of placing Chinese strategy in a Western context, seeking instead to understand how China herself thinks about strategy. There are two authoritative sources for understanding the concepts underpinning the formulation of Chinese strategy, coincidentally both are titled Science of Military Strategy (Zhanluexue, or SMS) in translation. The Academy of Military Science (AMS), the PLA’s research institute, has published three iterations of SMS in 1987, 2001, and 2013, of which the 2001 version was translated into English; China’s National Defense University (NDU) has published two versions in 1999 and 2015. As M. Taylor Fravel notes, the AMS versions are authoritative given their influence upon the formulation of the PLA’s strategy and operational doctrine. The NDU texts, by comparison, reflect the work of a university directly responsible to the PLA, suggesting these versions of SMS were likely to have been approved by senior politico-military leadership before publication. The 2013 AMS version of SMS tackles strategy in its very first chapter. Strategy, traced back to both Sun Tzu’s Art of War and its use as a Western concept beginning in the third century, is understood as originating from and developing in war. In the Chinese context, the concept of military strategy evolved in the contemporary period from research on conflict and wartime decision-making to the management of resources in conflict and the dual demands of offensive and defensive strategies. Strategy is comprised of goals, guidance, and tactics (mubiao, zhidao, shouduan) employed at the national, military, and service-specific levels. Above all, it belongs to the realm of politics, both influencing and reacting to the political decisions of Chinese leadership. Similarly, the 2015 National Defense University version of SMS begins with an introduction to strategy as the ability to win wars and engage in military operations other than war (MOOTW). Strategy is divided into goals, guidelines, and tactics, with emphasis given to the guidelines (fangzhen) as the framework and core of strategy. The remaining text diverges from the practical, strategist-oriented counterpart published by AMS. While the AMS text devotes its pages to examining Chinese strategic thought, multi-dimensional threats the PLA is likely to face, and how to build a contemporary PLA, the NDU version is far more conceptual and theoretical in nature. It offers big-picture thinking on how strategy is planned, implemented, and evaluated while tackling overarching issues such as crisis management and operational concepts for the troops in warfare. The task for Chinese strategic planners, as in the West, is no less different: policy must be made into actionable plans and power into political consequences. Taken together, the most recent versions of SMS published by both AMS and NDU offer a holistic look at how China conceptualizes and operationalizes strategy. The two texts are a necessary intellectual marriage between a theoretical study of strategy and its daily operation in the Chinese national defense community. Ultimately, neither fall so far beyond the study of strategy in the West to merit the Chinese exceptionalism readily bestowed upon Beijing by strategic culture narratives. Both the AMS and NDU texts—and, presumably, the students, soldiers, and strategists reading them—focus upon strategy as the process in which all the resources at a state’s disposal (led by military force) can be translated into desired political effects. The task for Chinese strategic planners, as in the West, is no less different: policy must be made into actionable plans and power into political consequences. While mainstream strategic culture arguments would lead one to believe there is far more which separates the study and implementation of strategy between our two hemispheres, differences are simply confined to the historical context and linguistic medium. In the following section, this article will continue to advance this argument through an examination of how Chinese strategic planners are endeavoring to align ways, means, and ends in the internal and external cases of Xinjiang and Taiwan. Since 2009, China’s northwestern province of Xinjiang has experienced an uptick in violence and unrest. Tensions between the predominantly Muslim Uighurs and the Han Chinese stem from a spectrum of socioeconomic and cultural factors which have fueled the desires of some to seek separation from China. In 2006, anti-Chinese Uighur militants formed the Turkistan Islamic Party (TIP), consisting of members from Afghanistan and Pakistan and operating alongside Jabhat al-Nusra as an al-Qaeda affiliate. TIP is an offshoot of the East Turkestan Independence Movement (ETIM), an organization which, as its name suggests, seeks an independent state of East Turkestan across central Asia (to include Xinjiang) and a caliphate. For Beijing, the political implications of a secessionist movement on its periphery have been only further exacerbated by the growing number of Uighurs thought to have joined the Islamic State. Beijing has thus sought to devise and implement a strategy that deals simultaneously with the simmering separatist insurgency and the terrorist threats in Xinjiang. At its core, politics underpin these dual demands: neither effort can risk undermining the legitimacy of the ruling Communist Party and the economic development of China’s far west. A host of measures have been implemented to weaken the insurgency and check the spread of domestic terrorist cells, many of which target the Islamic beliefs of the Uighur people as the perceived root of the problem. These include rules on Islamic dress and rites observance, punishment for those refusing to abide by family planning rules or watch state television, and passport confiscation and DNA collection programs to monitor the whereabouts of individuals. Such initiatives, which risk mistaking all Uighurs as separatists or Islamic extremists, have been deemed by President Xi Jinping as necessary work to ensure the region’s long-term social stability, security, and economic development. Strategy in the case of Xinjiang has thus sought to link a purist vision for Xinjiang—in which the region is prosperous and free from threats of separatism and terrorism—with the demands upon Beijing to maintain control over the far west. The challenge for Beijing, however, is that the tactics of coercion and religious repression are not well received, contributing to greater tensions between the Uighurs and Han Chinese and undermining progress toward the overarching goal of preserving stability. Ninety miles from China’s southeastern shore lies the island of Taiwan, the proverbial cork in a bottle which prevents Chinese control of and access beyond the first island chain. Taiwan has maintained a de facto separation from Beijing since 1949, maintaining its own government, military, socioeconomic systems, and international relations. Seen as a legacy of the Chinese Civil War, successive generations of Chinese leadership remain focused on securing the island’s eventual reunification. It is the political objective of regaining Taiwan—often linked to the broader goal of national rejuvenation – which has driven Beijing’s actions toward Taiwan over the last six decades. Beijing’s strategy toward Taiwan is perhaps the most important issue for the central government. Government work reports issued each year by the Chinese Communist Party’s National People’s Congress (NPC) offer strategic guidance for the behemoth of bureaucratic apparatuses tasked with plotting China’s forward trajectory and resolution of the Taiwan issue. While other facets of this guidance adapt based on internal or external circumstances, the guiding framework for managing the Taiwan issue has largely gone unchanged. Chinese leaders have introduced different slogans for use vis-à-vis Taiwan, but none have achieved (nor abandoned) the goal of reunification. Under Xi, such trends continue with emphasis on peaceful reunification as a natural by-product of peaceful development of relations which are based upon mutual recognition of one China encompassing the two sides of the Strait. To support this strategy, Beijing has turned to virtually every available element of statecraft to woo, incentivize, deter, coerce, and compel the Taiwanese into giving reunification another chance. Surrounding previous elections, PLA exercises, live-fire drills, and business agreements targeting Taiwanese milkfish and fruit farmers have been used in an attempt to increase votes for the pro-China Kuomintang (KMT) party. During the years of KMT president Ma Ying-jeou (2008-2016), because Ma’s administration openly acknowledged that both sides of the Strait belonged to one China, a period of rapprochement occurred—marked by direct flights, flourishing social ties, over twenty economic agreements, and periodic dialogue between the KMT and CCP. These good times culminated in the November 2015 Xi-Ma meeting in Singapore, a watershed moment in the cross-Strait relationship that in many ways set the tenor for how cross-Strait relations could continue under Ma’s successor. The election of the Democratic Progressive Party (DPP) candidate, Tsai Ing-wen, in Taiwan’s 2016 presidential elections was, however, a disappointment for Beijing. Initial promises to wait and see what her policies would be for the cross-Strait relationship quickly evaporated after her inaugural speech and tacit refusal to explicitly acknowledge one China in the form of the 1992 Consensus. Incentives for maintaining a working relationship with Beijing were quickly removed, replaced by a series of sticks seeking to undermine the confidence of the Taiwanese people in their new president. Tourism and exchange student quotas from the mainland decreased; the former acutely impacting a whole industry which has catered solely to mainland Chinese visitors since the early 2000s. PLA exercises simulating island landing campaigns have continued, and indeed, remain the modus operandi behind the planning and preparation of the PLA’s eastern theater command. Chinese officials have wooed Taipei’s diplomatic partners to recognize Beijing with promises of investment and trade deals, and elsewhere, squeezed Taiwan out of multilateral forums by arguing that international organizations can only recognize one China. The comprehensive nature of Beijing’s strategy toward Taiwan over the last six decades has demanded extensive national resources and political commitment. Chinese leaders have not abandoned the cause of reunification given its bearing upon the Party’s legitimacy and ruling authority. Even as different concepts and tactics have emerged, there is very little which has changed in Chinese strategy toward Taiwan. Ways and means seek a political end that will remain beyond Beijing’s reach unless the Taiwanese people have a change of heart or Chinese leadership is willing to risk the costs of an all-out war. In the cases of both Xinjiang and Taiwan, Beijing seeks a political objective of, broadly speaking, national unity through the application of various forms of national power. Just as rules are implemented seeking to check the growth of Islamic extremism and Uighur separatism at home, so too are levers of military coercion and economic influence employed to deter Taiwanese independence. If, by comparison, one was to examine the cases of Xinjiang or Taiwan through cultural tropes, what would be found? Sun Tzu’s guidance may suggest that Beijing is intentionally deceptive about its true aims along its periphery, or that it seeks to resolve both problems through means other than kinetic conflict. The game of Go would lead one to believe that Beijing’s desire to control both renegade territories is part of a larger strategic game; the development of advanced military shashoujian capabilities or tactics would be understood as conduits for nearing this ultimate objective. None of these, the author believes, are false conclusions. But it is erroneous to assume that China's strategy toward Xinjiang and Taiwan is a culturally unique phenomenon. As illustrated above, there is little about Chinese strategy toward either region that cannot be analyzed based on an assessment of how strategy operates in the Western sense of linking ways and means with desired ends. Indeed, perhaps all that is distinct in both cases is the ethnic groups—the Uighurs and Taiwanese—affected by the strategic actions of the single-Party Chinese state. While nomenclature may differ, Chinese and Western strategists alike are seeking the ideal mix of ways and means to maximize chances for success in the pursuit of political objectives. To be sure, studies of Chinese strategic culture have and will continue to remain an important contribution to understanding Beijing’s contemporary behaviors. While such studies seek to advance our attention to Chinese strategic thought, a focus on what is different in conceptualizations of strategy should not overlook all that is similar. As this article has argued, studies and operationalization of strategy between the Eastern and Western hemispheres appear to have far more in common than not. While nomenclature may differ, Chinese and Western strategists alike are seeking the ideal mix of ways and means to maximize chances for success in the pursuit of political objectives. When strategies come into conflict with one another, such as along China’s periphery in the first-island chain, to assume this is due primarily to different cultures risks missing the forest for the trees. Rather than asserting what Chinese culture tells U.S. policymakers about how Chinese strategy may operate, the focus of American strategic planners should be on how Chinese strategy actually operates. In Xinjiang and Taiwan—and undoubtedly elsewhere—Beijing is preoccupied with the demands of preserving political legitimacy, upholding territorial integrity, and protecting national interests. Even as Sun Tzu, the game of Go, the demands of creating shi, or the development of shashoujian capabilities may offer insight for understanding how China looks at its strategic environment, these cultural concepts should not be diluted into the essence of Chinese strategic behavior. Just as culture changes, so too must our understanding. The U.S. strategic community must move away from a reliance upon cultural traditions as a causal link between Chinese strategic thought and action toward a more rigorous assessment of how Beijing manipulates ways and means in the pursuit of political objectives. Lauren Dickey is a PhD candidate in War Studies at King’s College London and the National University of Singapore where her research focuses on contemporary Chinese strategy toward Taiwan. Other Chinese strategic concepts commonly referenced include: the peace-loving philosophies of Confucius and Mencius, People’s War in the Mao Zedong era, and the cultural concept of “face” (or, “mianzi”). Brian D. Wieck, "Information Operations: Countermeasures to Anti-Access/Area Denial," The Strategy Bridge, https://thestrategybridge.org/the-bridge/2017/5/11/information-operations-countermeasures-to-anti-accessarea-denial; Sebastian J. Bae, "In the War with Isis, Don’t Forget About Sun Tzu," ibid., https://thestrategybridge.org/the-bridge/2016/4/15/in-the-war-with-isis-dont-forget-about-sun-tzu; U.S. Military Academy Department of History, “The Officer’s Professional Reading Guide: Top 100 List,” 2011. Andrew Scobell, "Strategic Culture and China: IR Theory Versus the Fortune Cookie?," Strategic Insights 6, no. 10 (2005). ; Christopher A. Ford, "Realpolitik with Chinese Characteristics: Chinese Strategic Culture and the Modern Communist Party-State," in Understanding Strategic Cultures in the Asia-Pacific, ed. Ashley J. Tellis, Alison Szalwinski, and Michael Wills (Seattle: National Bureau of Asian Research, 2016), 28-60. David Andrew Graff and Robin D. S. Higham, A Military History of China, Updated ed. (Lexington: University Press of Kentucky, 2012). Alastair Iain Johnston, Cultural Realism: Strategic Culture and Grand Strategy in Chinese History (Princeton: Princeton University Press, 1998); Mark Burles and Abram N. Shulsky, "Patterns in China's Use of Force," (Santa Monica, CA: RAND Corporation, 2000). Huiyun Feng, Chinese Strategic Culture and Foreign Policy Decision-Making: Confucianism, Leadership, and War (London: Routledge, 2007); Baogang He, Governing Taiwan and Tibet: Democratic Approaches (Edinburgh: Edinburgh University Press, 2015). Fravel used data to highlight China’s historical trend toward peaceful resolution of territorial disputes (M. T. Fravel, Strong Borders, Secure Nation: Cooperation and Conflict in China's Territorial Disputes (Princeton: Princeton University Press, 2008). Ralph Sawyer, "Chinese Strategic Power: Myths, Intent and Projections," Journal of Military and Strategic Studies 9, no. 2 (2007). Carl von Clausewitz, On War, ed. Michael Howard and Peter Paret (Princeton: Princeton University Press, 1984); Derek M. C. Yuen, "Deciphering Sun Tzu," Comparative Strategy 27, no. 2 (2008). Patrick Porter, "Good Anthropology, Bad History: The Cultural Turn in Studying War," Parameters (2007): 45-58. U.S. Department of Defense, Annual Report on the Military Power of the People’s Republic of China (Arlington: Department of Defense, 2002), 5-6; R. James Ferguson and Rosita Dellios, The Politics and Philosophy of Chinese Power: The Timeless and the Timely (Lanham, MD: Lexington Books, 2016). Arthur Waldron, "China’s Military Classics: A Review Essay," Joint Force Quarterly (1994). The DF-21D is purported to have a range of 810 miles, whereas the longest-range carrier-based aircraft currently operated by the U.S. have a range of 550 miles. This leads to an operational decision between operating carrier-based aircraft beyond range or within reach of DF-21D salvos. For an excellent study on the development of the DF-21D, see Andrew S. Erickson, Chinese Anti-Ship Ballistic Missile (ASBM) Development: Drivers, Trajectories, and Strategic Implications (Washington, DC: Jamestown Foundation, 2013). Jason Bruzdzinski, "Demystifying Shashoujian: China's 'Assassin's Mace' Concept," in Civil-Military Change in China: Elites, Institutes, and Ideas after the 16th Party Congress, ed. Andrew Scobell and Larry Wortzel (Carlisle, PA: Strategic Studies Institute, 2004); Mark Gabrielson, “Shashoujian: A Strategic Revelation or Simply an Idiom?,” China-US Focus, June 23, 2013, http://www.chinausfocus.com/culture-history/shashoujian-a-strategic-revelation-or-simply-an-idiom. 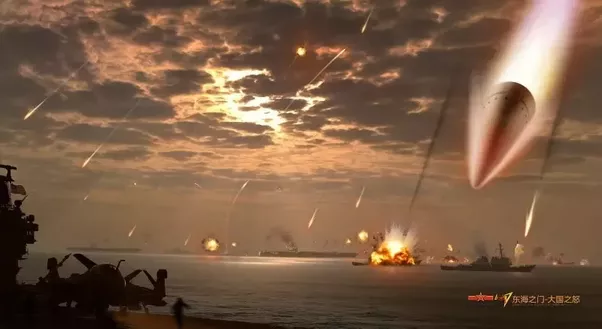 For the United States, this can be seen in the military strategy previously known as Air-Sea Battle (since re-named to Joint Concept for Access and Maneuver in the Global Commons, JAM-GC). Scott A. Boorman, The Protracted Game: A Wei-Chʻi Interpretation of Maoist Revolutionary Strategy (New York: Oxford University Press, 1969). David Lai, "Learning from the Stones: A Go Approach to Mastering China's Strategic Concept, Shi," (Carlisle, PA: Strategic Studies Institute, 2004). Thomas C. Schelling, The Strategy of Conflict (London: Oxford University Press, 1960). Alastair Iain Johnston, "Thinking About Strategic Culture. (Does Strategic Culture Matter? )," International Security 19, no. 4 (1995). E.g., Yitzhak Klein, "A Theory of Strategic Culture," Comparative Strategy 10, no. 1 (1991); Thomas G. Mahnken, "China's Anti-Access Strategy in Historical and Theoretical Perspective," Journal of Strategic Studies 34, no. 3 (2011). E.g., Caleb M. Bartley, "The Art of Terrorism: What Sun Tzu Can Teach Us About International Terrorism," Comparative Strategy 24, no. 3 (2005); "Ancient Game Used to Understand U.S.-China Strategy," U.S. Army, May 24, 2016, http://www.army.mil/article/168505/ancient_game_used_to_understand_us_china_strategy. This is a reference to the Chinese propaganda rhetoric of building “socialism with Chinese characteristics,” which suggests that China has an exceptional strand of socialism. M. T. Fravel, "China’s Changing Approach to Military Strategy: The Science of Military Strategy from 2001 and 2013," in China’s Evolving Military Strategy, ed. Joe McReynolds (Washington, DC: Jamestown Foundation, 2017). PLA Academy of Military Science, 战略学 Science of Military Strategy (Beijing: Academy of Military Science, 2013), chapter 1. National Defense University, 战略学 Science of Military Strategy (Beijing: National Defense University Press, 2015), 13. Heath uses “fangzhen” rather than a translated substitute to prevent dilution in meaning. Timothy Heath, "An Overview of China’s National Military Strategy," in China’s Evolving Military Strategy, ed. Joe McReynolds (Washington, DC: Jamestown Foundation, 2017), 1-39. Bernard Brodie, "Strategy as a Science," World Politics 1, no. 4 (1949); Clausewitz, supra note 8; John Stone, Military Strategy: The Politics and Technique of War (London: Continuum, 2011). This is the task of the strategists on the “bridge” which connects political outcomes with the instruments of statecraft. Colin S. Gray, The Strategy Bridge: Theory for Practice (Oxford: Oxford University Press, 2010). Modern conflict in Xinjiang dates to 1955 when Xinjiang became an autonomous region of China. Lauren Dickey, "Counterterrorism or Repression? China Takes on Uighur Militants," War on the Rocks, https://warontherocks.com/2016/04/counterterrorism-or-repression-china-takes-on-uighur-militants/. “China Uighurs: Xinjiang ban on long bears and veils,” BBC News, April 1, 2017, http://www.bbc.com/news/world-asia-china-39460538; “Police Confiscate Passports in Parts of Xinjiang, in Western China,” New York Times, December 1, 2016, https://www.nytimes.com/2016/12/01/world/asia/passports-confiscated-xinjiang-china-uighur.html; “Beijing laying groundwork for mass DNA testing in Xinjiang,” South China Morning Post, May 16, 2017, http://www.scmp.com/news/china/policies-politics/article/2094558/beijing-laying-groundwork-mass-dna-testing-xinjiang. “习近平部署‘总目标’下的新疆发展 [Xi Jinping Outlines ‘General Goals’ for the Development of Xinjiang],” Xinhua, March 11, 2017, http://news.xinhuanet.com/politics/2017-03/11/c_1120611290.htm. These stretch from “liberation” of the Mao Zedong era to “peaceful reunification” under Hu Jintao and, to a lesser degree, Xi Jinping. See, e.g., Gang Lin, "Beijing’s New Strategies toward a Changing Taiwan," Journal of Contemporary China 25, no. 99 (2016): 1-15. Gunter Schubert, ed. Taiwan and the 'China Impact': Challenges and Opportunities (New York: Routledge, 2016). Richard Bush, “Tsai’s Inauguration in Taiwan: It Could Have Been Worse,” The Brookings Institution, May 23, 2016, https://www.brookings.edu/blog/order-from-chaos/2016/05/23/tsais-inauguration-in-taiwan-it-could-have-been-worse/. Bonnie Glaser, Taiwan's Quest for Greater Participation in the International Community (Lanham: Rowman & Littlefield, 2013). Newer PostThe Arctic—Economic Growth or Future Battlefield?